Whether led by a government of liberals or conservative-nationalists, Polish politicians are in agreement that coal will continue to be the main means with which to secure the country’s energy for the foreseeable future. Silesians are quite well aware of the life beyond coal. Poland’s puzzling ‘love affair with coal’ – a common trope used by editors to describe this contradiction – could be pinpointed to Upper Silesia, a region in southern Poland rich in hard coal reserves (hard coal accounts for 54 per cent of electricity generation, while lignite accounts for another 35 per cent). There is where one finds the strong coal mining unions that have supposedly kept successive governments hostage. 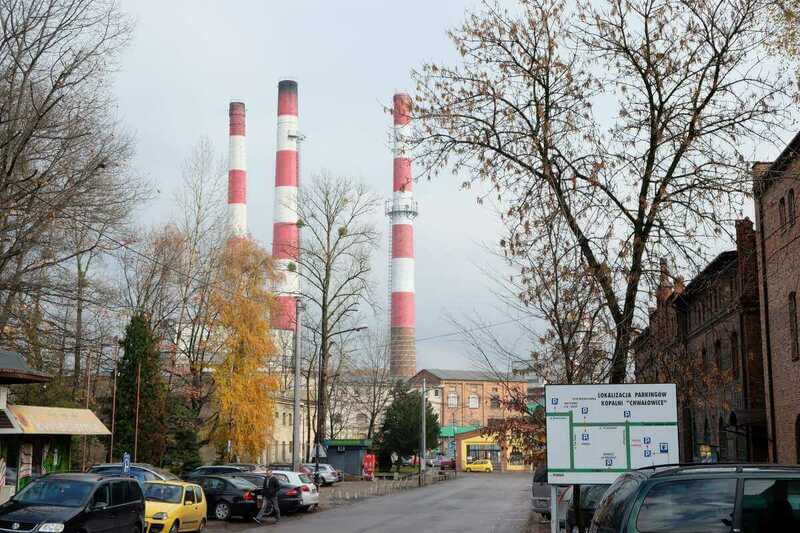 More than anywhere else in Poland, Upper Silesia calls to mind the Ruhr region in western Germany (and many people reflecting on the future of coal in Upper Silesia have visited the Ruhr to learn more about how a post-coal transition is made possible). 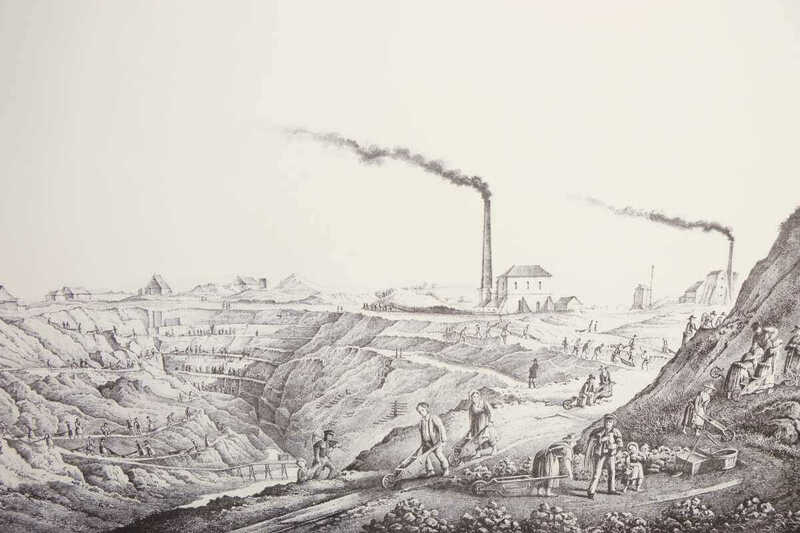 Cities grew in service near to newly opened mines, resulting in a dispersed landscape, rather than a large metropolis surrounded by smaller towns. Like in the Ruhr, the administrative structure of Upper Silesia is complex: there’s a Katowice urban area, including several cities, with a population of 2.7 million people, and then a larger Upper Silesian metropolitan area with 5.3 million. An imagine from the Silesian Museum depicts coal mining in Upper Silesia at its beginnings. Upper Silesia, including Katowice, was under German rule until the end of the First World War (and part of it remained there through to the end of the Second World War), and mining here and in the Ruhr developed in similar ways: wealthy aristocrats opened the mines, whose riches fuelled the rise of a bourgeoisie in the nineteenth century. As in the Ruhr, the early industrialists felt responsible for workers’ well-being and so built neighbourhoods with solid houses, hospitals and schools, some of which, like in Germany, survives today. While coal mining in Silesia was subject to the same international pressures – competition from cheaper oil or imported coal – as in the Ruhr during the second half of the twentieth century, these were alleviated by the intervention of Poland’s communist rulers. Only after the end of communism in the 1990s did the inefficiencies plaguing the sector rear their head. But unlike in Germany, where state and regional planning were key to the restructuring of the region, transitional Poland was a wild west of industrial privatisation, with state institutions weakened and mistrusted. The first wave of restructuring of hard coal mining in Upper Silesia continued until the early 2000s. The 400 000 people employed in coal mining in 1989 was reduced by half, with 80 000 jobs left in hard coal mining today. The haphazard restructuring lacked an alternative vision of development in the region. Between 1998 and 2002, the government for the first time negotiated with the powerful mining unions a programme of financial aid for miners retiring early or simply losing their jobs. Geographer Robert Krzysztofik from the Silesian University in Katowice has a peculiar passion. Together with his twin sons, he rides around Sosnowiec, a town of 200 000 people northeast of Katowice and observes the evolution of post-mining terrains. The three have been there to watch the former mining lands recultivated, EU-funded roads constructed, and new factories and logistics facilities opened. 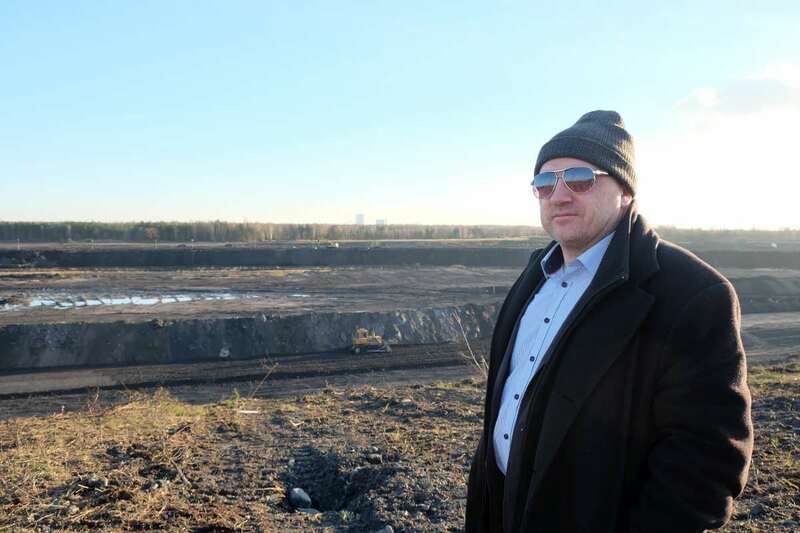 Geographer Robert Krzysztofik follows the evolution of all post-mining sites in Sosnowiec. Photo by Ido Liven and Claudia Ciobanu. Krzysztofik bursts with enthusiasm as he drives around a former mining area part of the Katowice Special Economic Zone, established in 1996 to stimulate investments in the region by offering tax breaks and support to businesses but which started really bearing fruit here in the last years. 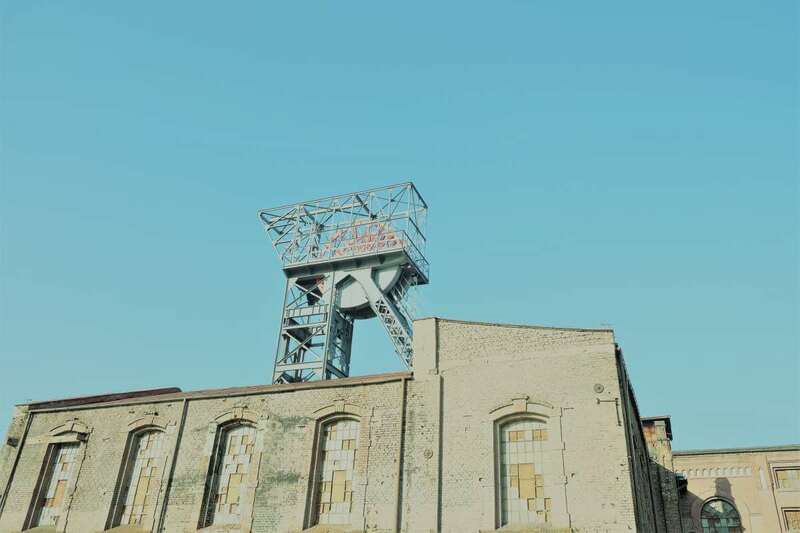 For more than a decade, Krzysztofik had little to observe but desolation after the closing of Sosnowiec’s four coal mines and the restructuring of its two ironworks. If 20 000 inhabitants in Sosnowiec worked in the coal mines before, now the sector only employs 20 –a private Polish company still operates a small mine in the town. The jobs came, but possibly too late. Sosnowiec is now turning into a logistics center for companies that either produce spare parts in factories in Poland or sell their products on the large Polish market. There are jobs to be had. But unlike the old mining jobs, these pay poorly: a worker employed in one of the local halls can expect to make 2000 zloty (500 euros), at least twice less than what a miner would earn during the prosperous days of Sosnowiec. This is not enough to keep people put. Just like other towns in the vicinity, Sosnowiec loses about 2 000 people annually to emigration, and the town is ageing. “The jobs came, but possibly too late,” said Krzysztofik. While the special economic zone did bring jobs to the region, not everyone is of one mind as to its overall positive impact. 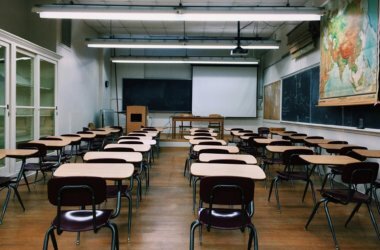 The Polish supreme audit body had concluded that the net effect of the special economic zones on Poland was unknown because the government had not properly studied the negative consequences. Critical economists further argued that jobs in the Katowice special economic zone are low paid and precarious and working conditions generally poor. They also say the jobs would have appeared anyway in time, with or without the special zones. During the restructuring of the coal sector in the 1990s, the number of coal mines in Poland was reduced from around seventy to thirty, and that number remained stable between 2007 and 2014. One of the few technology parks in Sosnowiec, on the site of an old mine. Photo by Ido Liven and Claudia Ciobanu. 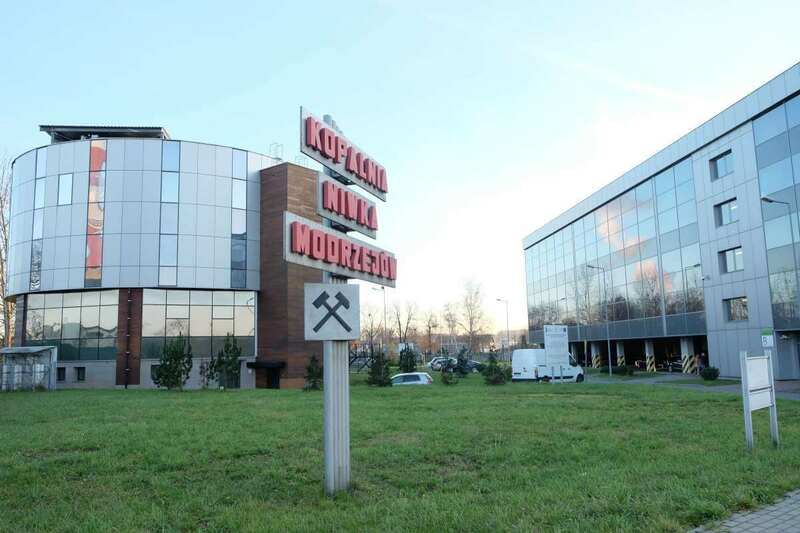 In Upper Silesia, the most important mining company is the state-owned Kompania Węglowa (KW), which until last year owned eleven mines that the government now has transferred to a new company, Polska Grupa Górnicza (PGG). The Law and Justice (PiS) government had state utilities cover some of the financial losses incurred by the new company when it took over KW, and also passed some of the most unprofitable mines to a restructuring company in view of closure. Even with these reforms, however, hard coal mining in Upper Silesia remains costly and financially burdensome for the state. Mining takes place sometimes as deep as 1000 metres below the earth and, if it is to continue, miners will have to mine even deeper. This means workers can spend half of their working time just travelling to the reserves and back. While it costs about USD 76 to produce one tonne of hard coal in Poland, according to the World Bank, the international price will be around USD 50. Reserves of hard coal in Upper Silesia could last for decades, and miners we spoke to there often feel it should be used as long as it is there, especially since Poland has made little progress developing alternative energy sources. Poland takes much of its oil and gas from Russia, so coal is seen as key to energy security. For the miners themselves, the jobs on offer now in Upper Silesia in other industries are generally still worse than those in the mining sector. While in the last years miners lost extra benefits they used to have (14 monthly salaries or free coal for heating), the pay remains better – at least for older miners. But there is also a sense things have to change. The youth don’t want to work any more in the sector (incomers don’t get paid as well as they used to and sometimes for the young, pay is comparable or worse than in other sectors) and it is surprisingly difficult at times to find labour. EU rules governing coal mining in Poland are well known, and miners get that Upper Silesia will have to sort out its pollution problem, which is not only destroying the health of locals but also driving people away. Photo by Ido Liven and Claudia Ciobanu. On most clear winter days, Poles, particularly those in the South, start their days with a similar warning. Particulate matter pollution is often twice or three times the norm, meaning that children and vulnerable people are told to stay indoors. Face masks have become a common sight in many cities, and urbanites routinely check pollution apps on their phones before leaving the house. The situation is particularly bad in the southern coal region. According to data from the World Health Organisation, 33 of the 50 most polluted cities in the EU are located in Poland, and ten of these are in Silesia. The European Index of Social Development puts Silesia at 250 out of 272 European regions when it comes to quality of life. This is mainly because of pollution, as Silesia is otherwise one of Poland’s better off regions as a whole, with relatively low unemployment. Unlike Sosnowiec above, some cities in Upper Silesia manage better. Large cities like Katowice have more diversified industries and attract services, including financial or IT. In other instances like in Gliwice, new industries like car manufacturing developed. Other places, like Bytom, have not fared even as well as Sosnowiec and remain depressed. Overall, however, the region is far from poor. But there is a problematic undercurrent. The quality of life in the region is so bad that no matter the economic opportunities, the region might not develop. People are looking to leave. In Katowice’s beautiful center, historic buildings lie empty because the municipality failed to invest in renovation, and people anyway leave city centers to greener suburbs or elsewhere in the country. As elsewhere in Poland, in Silesia people tend to associate smog with traffic and the burning of bad quality coal or rubbish in home ovens for heating. In recent years, regional authorities have, in response to public pressure, implemented anti-smog legislation, banning the burning of trash and creating incentives to modernise heating systems. These are welcome first steps. Few, however, are ready to draw the link between choking smog and the country’s dependence on coal. The Silesian Museum in the center of Katowice, on the location of an old mine. Photo by Ido Liven and Claudia Ciobanu. The current PiS government not only committed to salvaging coal mining, but also supports the construction of new coal plants. Four large ones are planned. Hard coal and lignite will have a prominent place. The PiS government stresses that there are no alternatives to coal for Poland – but part of that is its own making. As soon as PiS entered government, it dealt several blows to the development of other forms of energy. PiS increased the distance required between wind mills and homes, essentially handcuffing the development of the wind industry; and it weakened a budding system of assistance to prosumers (consumers who wanted to produce some of their energy). 44-year-old Marek Wystyrk from the Silesian town of Rydułtowy began mining at 18 and worked undergound for nine years. With his boyish looks one would not suspect he is the father of three, the eldest of whom studies at a trade school. Marek Wystyrk thinks Poland should dig out its coal, but prepares for life without coal, just in case. Photo by Ido Liven and Claudia Ciobanu. Wystyrk’s story is atypical. While working underground, he continued his studies and completed three degrees in logistics and environmental protection. He has climbed the professional ladder inside KW, where he is now chief specialist and transport coordinator. Having worked hard since a young age, he keeps active after leaving the office. 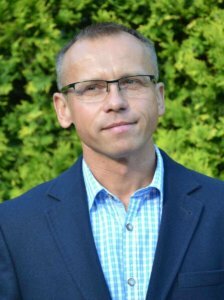 Wystyrk is now the president of a local NGO in Rydułtowy called Moje Miasto, which deals with civil society development and provides care and leisure for seniors. In recent years, Wystyrk became a local counselor in Rydułtowy and even ran for parliamentary elections in 2015 on the PSL ticket, a smaller agrarian party. “If you want to see the impact of closing mines, I invite you to some of the areas where there were once mines in Rybnik to see the kind of social problems we have,” he commented bitterly. Wystyrk, who visited the Ruhr region in Germany, doesn’t think a similar transition is possible in Poland, which he says is a poorer country because of the communist experience. He thinks Poland should use the good quality coal in Upper Silesia as long as it lasts, but do it using modern technologies. Interestingly, Wystyrk’s life seems to diverge from his pro-coal opinions. The former miner, as pragmatic as they come, has made sure to create alternatives for himself and his family in case the coal business dies. The son’s studies and Wystyrk’s own NGO activities are evidence of that. While he worked his own alternative for life after coal, Wystyrk also identified one of the most serious social problems in the region: an ageing population that no one looks after. Upper Silesia as a whole could use some of that pragmatism. The PiS government might stick to coal – and it might also stick to power for a long time – but the reality of climate change and choking pollution are bigger than politics, and the impacts are starting to hit home. The region has to prepare for life after coal, even while it burns its underground resources. If the first round of mining closures in the 1990s taught Silesians one thing, it’s that shutting down mining without creating an alternative plan creates severe social problems in the long term. Research by Piotr Lewandowski at Warsaw’s Institute for Structural Research indicates that ‘the economic outlook of Silesia is now conducive to a coal phase-out’. The economic outlook of Silesia is now conducive to a coal phase-out. Lewandowski’s research suggests that the local economy might be able to absorb the shock of a new wave of restructuring. In the meanwhile, regional authorities are desperate to solve some of the pollution problems of Upper Silesia in order to keep the population in place and healthy. These are important, favourable conditions for starting to plan a future after coal. 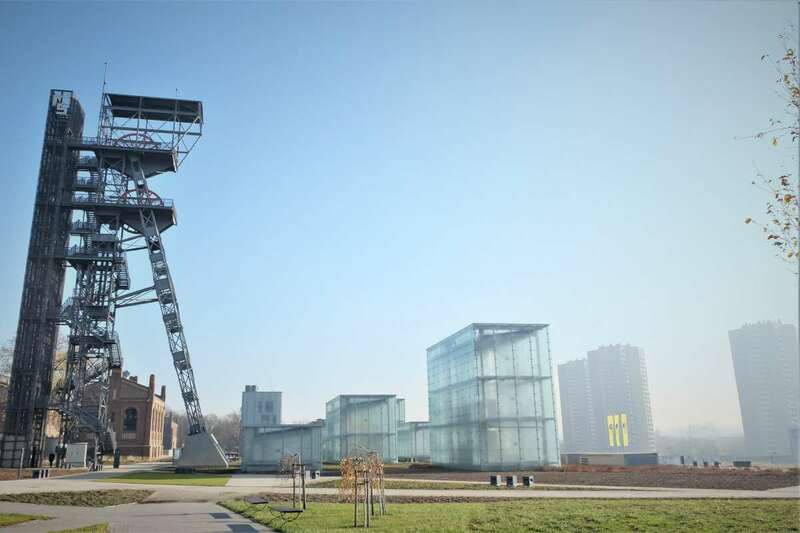 In the center of Katowice, the Silesian Museum is built on the old site of a mine and serves as a good omen. It is reminiscent of the Ruhr museum in Essen, a UNESCO world heritage site, and how old industrial structures can be integrated into the contemporary urban landscape. The museum is part of a so-called Industrial Monuments Route, linking 42 former industrial sites across Silesia that have been renovated and redesigned for tourism. At the Silesian Museum, an underground exhibition about the history of Silesia, where miners used to once dig out coal, presents the long history of the region where coal is just a later – if key – installment. The exhibition ends with a reflection of what will be the future of the region, and indicates that new technologies could offer the way forward. On the streets of Katowice, a future without coal seems possible. Walking among the soot-blackened but enchanting nineteenth century buildings, one feels they are shouting out to be cleaned up, restored and integrated into a tourism route. It would require cleaning up the air too. In Warsaw, a government intent on having its way even by use of authoritarian means does not seriously entertain the idea. This will have to be pushed from below, from the region.